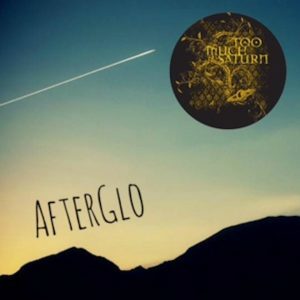 Too Much Saturn – AfterGlo – Single Review | The Ark of Music – The best music in the world…you never knew existed. 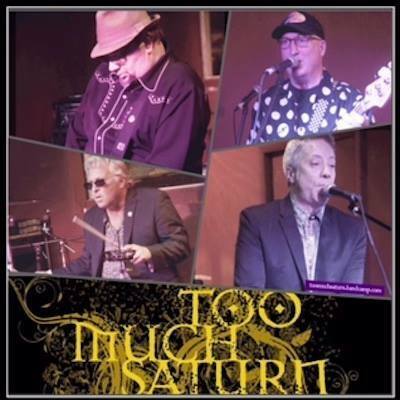 Self-defining their sound as Midwest Indie Power Pop, the Chicago, IL foursome known as Too Much Saturn (TMS) are a collection of players from several other former Chicago-area bands, including: Great Big Noise, Double Play, Scheme, The Quick, Trendoids and The Vandalays. After the proverbial dust settled, the final iteration of TMS consists of Chris Cerasoli (vocals, keyboards), Mark Hoffmann (guitars, vocals), Guy Sheldon (bass, vocals), and Dave Franco (drums, percussion). BELOW, you can listen to Too Much Saturn’s single, AfterGlo, and connect with their social media platforms. Please support Too Much Saturn by visiting them online, and playing, downloading, and/or purchasing their music. And, as always, thank you for supporting real music!